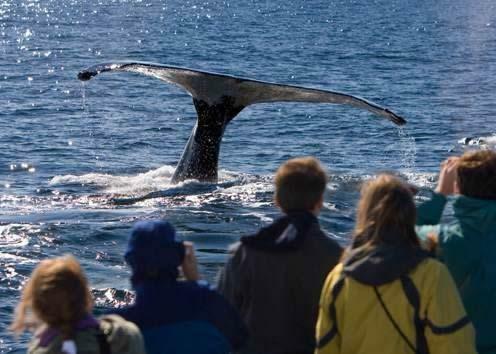 One of the most exciting New England activities available; a three to four hour narrated boat excursion to visit the great whales that come to feed off the coast of Massachusetts each Spring to Autumn. Seldom seen by humans, these great whales are one of nature’s most extraordinary sights. 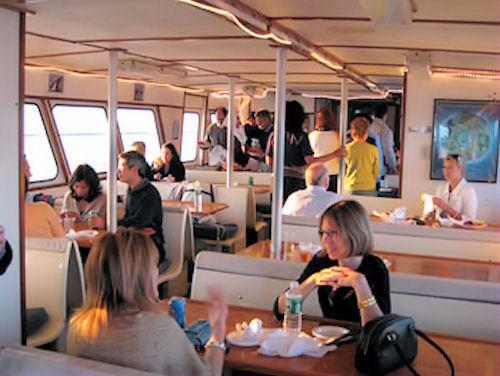 You will be welcomed on board "The Privateer IV", a 106ft whale watching vessel. This boat has padded indoor seating, a full galley and bar, carpeted and a heated cabin with a large screen GPS monitor that passengers can follow as the trip progresses. 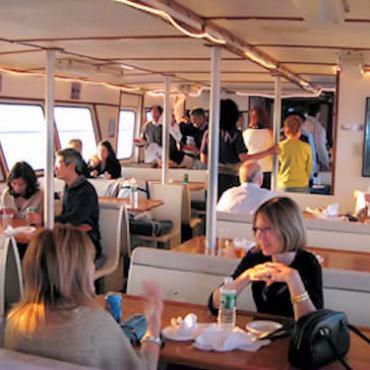 The Privateer IV also has a second level which features an open "Sun-deck" for panoramic views of the ocean, whales or the sights of Gloucester Harbor. 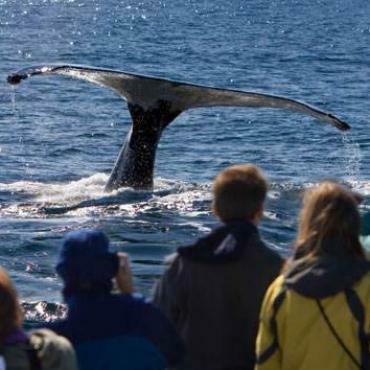 The trip out to the whales can take between 45 minutes to an hour depending on the location of the whales, however once you arrive at the feeding grounds you will spend approximately 1.5 hours with the whales. The onboard naturalist will provide valuable insight into the lives of the whales you will see as well as their habits and behaviours. 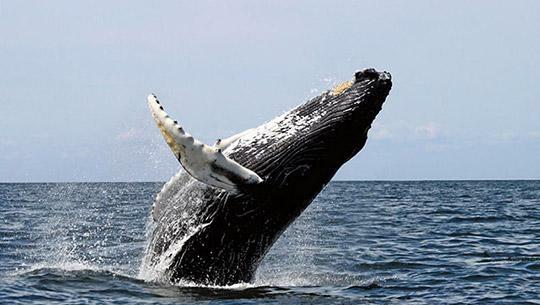 The whale watching season runs from mid April through to mid October each year. 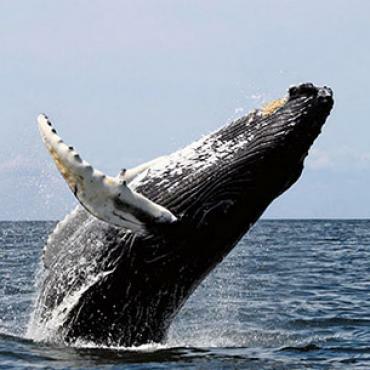 Pre-book your whale watching excursion from Gloucester with Bon Voyage.